The rainforest has been granted the same legal rights as a human being. Colombia's highest court has told the government it must take urgent action to protect its Amazon rainforest and stem rising deforestation, in what campaigners said was an historic moment that should help conserve forests and counter climate change. 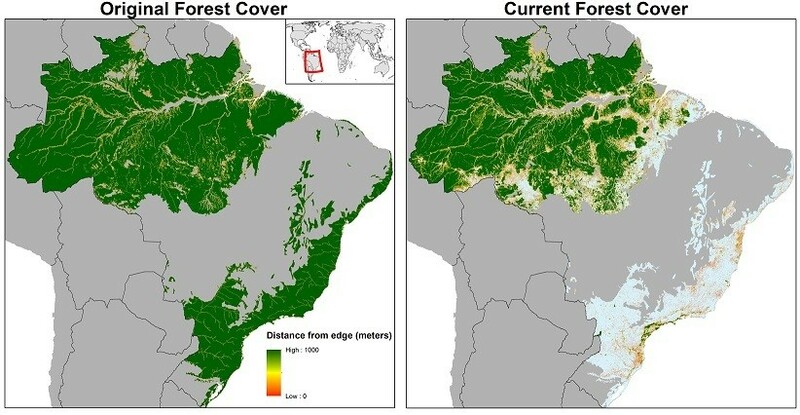 In their ruling on Thursday, the judges said that Colombia - which is home to a swathe of rainforest roughly the size of Germany and England combined - saw deforestation rates in its Amazon region increase by 44 percent from 2015 to 2016. "It is clear, despite numerous international commitments, regulations ... that the Colombian state has not efficiently addressed the problem of deforestation in the Amazon," the supreme court said. The ruling comes after a group of 25 young plaintiffs, ranging in age from seven to 26, filed a lawsuit against the government in January demanding it protect their right to a healthy environment. The plaintiffs had said the government's failure to stop the destruction of the Amazon jeopardised their futures and violated their constitutional rights to a healthy environment, life, food and water. Bogota-based rights group Dejusticia, which supported the plaintiffs' case, said the verdict meant it was the first time a lawsuit of this kind had been ruled upon favourably in Latin America. "The Supreme Court's decision marks an historical precedent in terms of climate change litigation," said Camila Bustos, one of the plaintiffs and a researcher at Dejusticia. In its ruling, the court recognised Colombia's Amazon as an "entity subject of rights", which means that the rainforest has been granted the same legal rights as a human being. "The ruling states the importance of protecting the rights of future generations, and even declares the Amazon a subject of rights," Bustos told the Thomson Reuters Foundation. The court ordered the government - both at the local and national level - along with the environment and agriculture ministries and environmental authorities to come up with action plans within four months to combat deforestation in the Amazon. The Amazon's destruction leads to "imminent and serious" damage to children and adults for both present and future generations, the judges said. The ruling stated that forests were being felled to make way for more grazing and agricultural land, as well as coca crops - the raw ingredient for cocaine - illegal mining and logging. Deforestation is a key source of greenhouse gas emissions driving climate change, which damages ecosystems and water sources and leads to land degradation, the court said. "Without a healthy environment, subjects of law and living beings in general will not be able to survive, let alone safeguard those rights for our children or for future generations," the ruling said. The lawsuit follows a surge in litigation around the world demanding action or claiming damages over the impact of climate change - from rising sea levels to pollution.